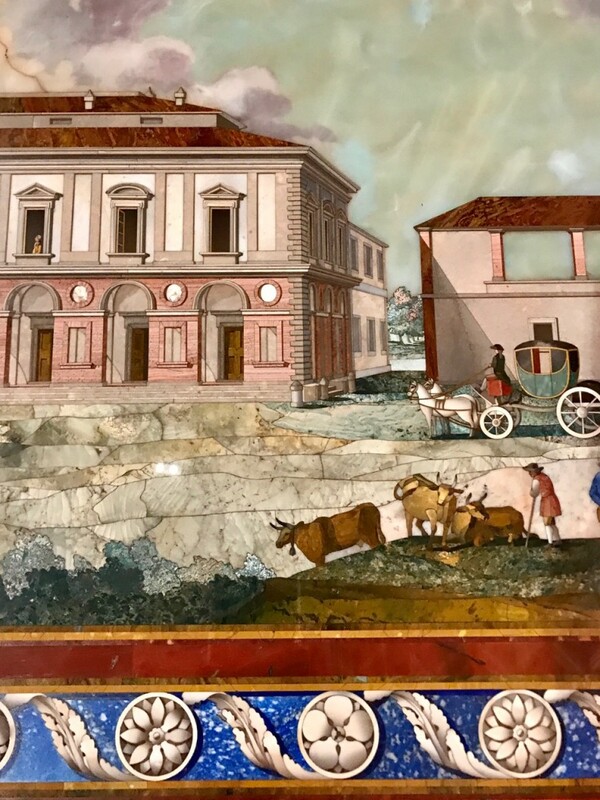 The Palazzo Pitti in Firenze was home to the Medici Dukes for hundreds of years and the royal apartments, Galleria Palatina, are one of the great treasure houses of this treasured city. 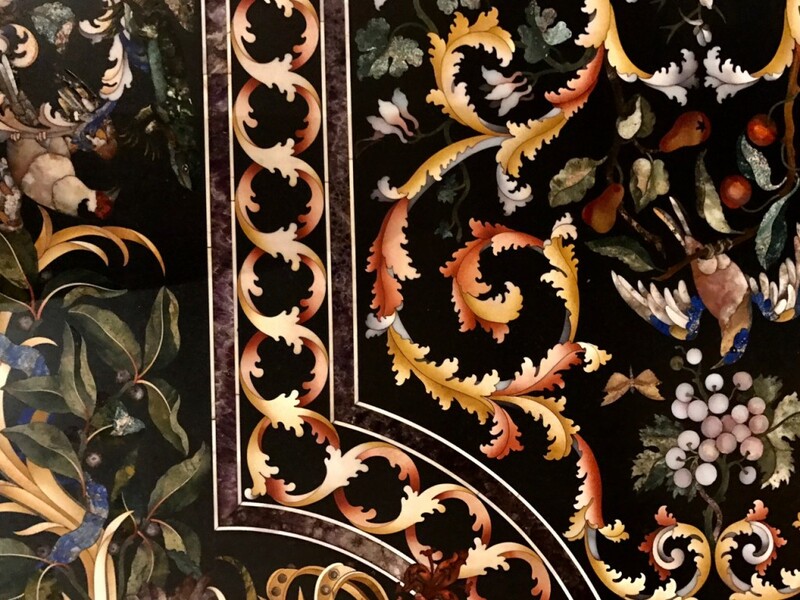 The beauty and the importance of its collections rival the more famous Uffizi but it’s much less visited. 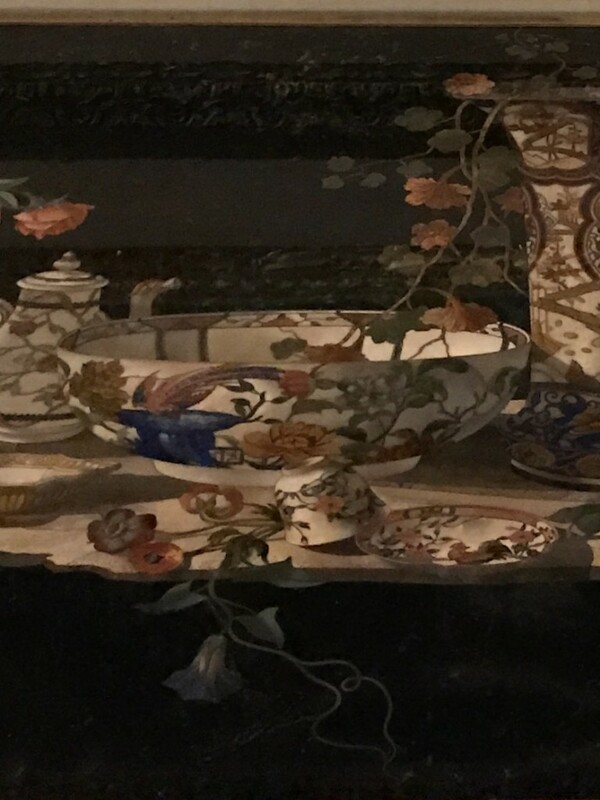 Arthur and I went early and were often alone together in these sumptuous rooms. 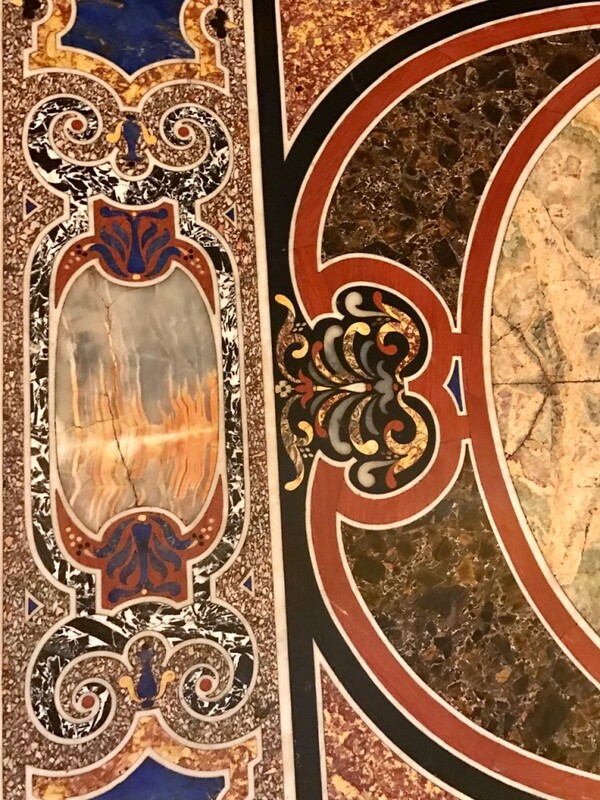 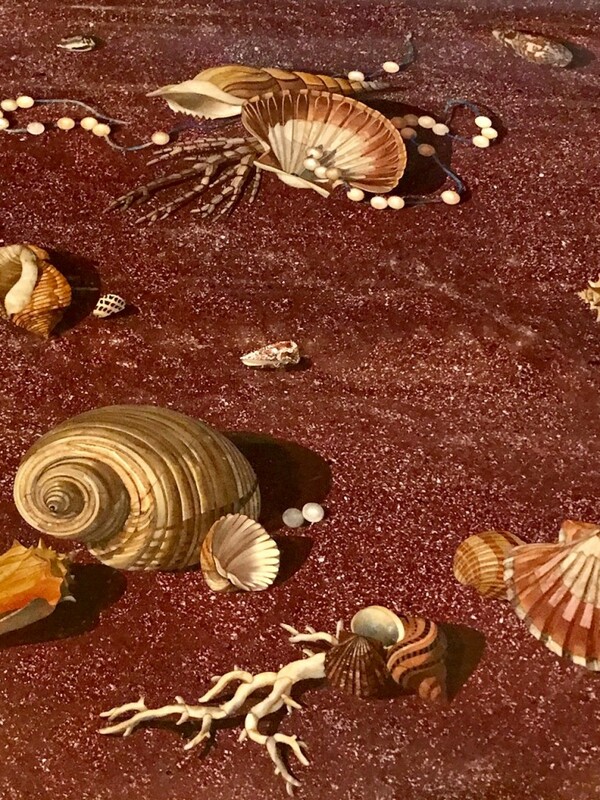 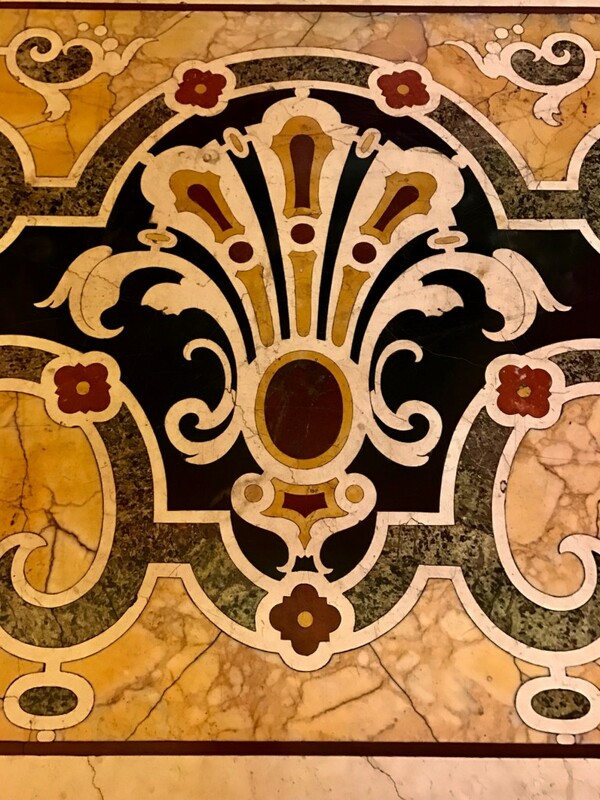 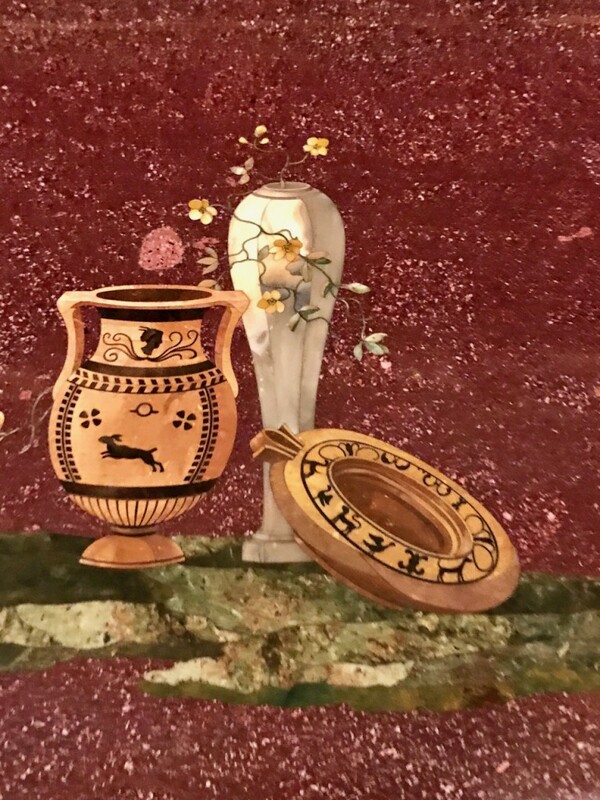 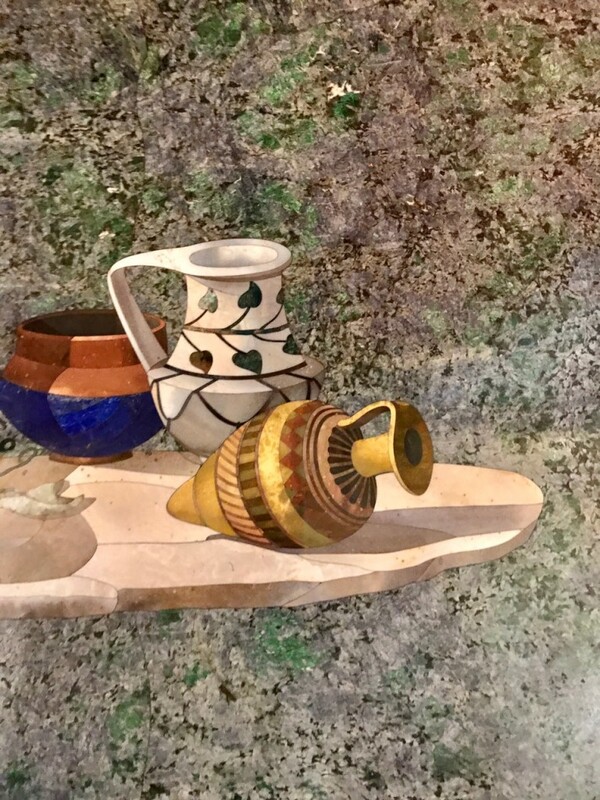 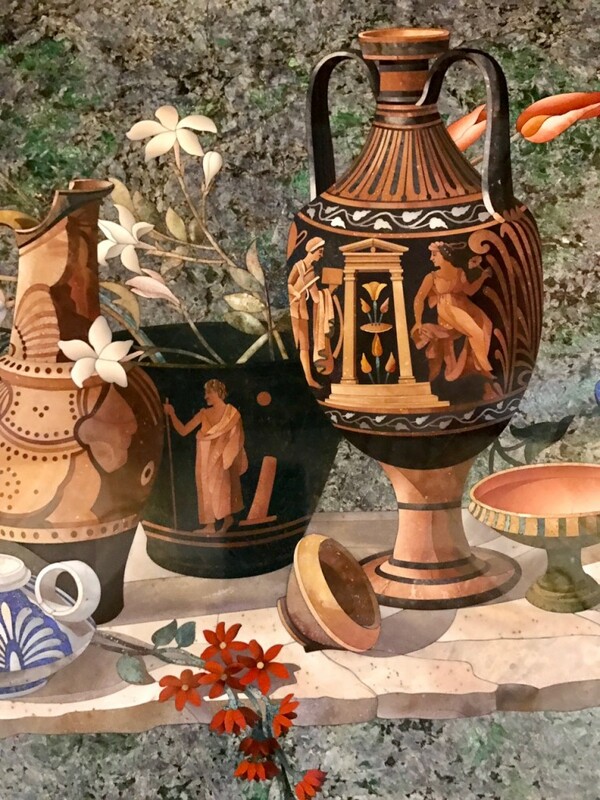 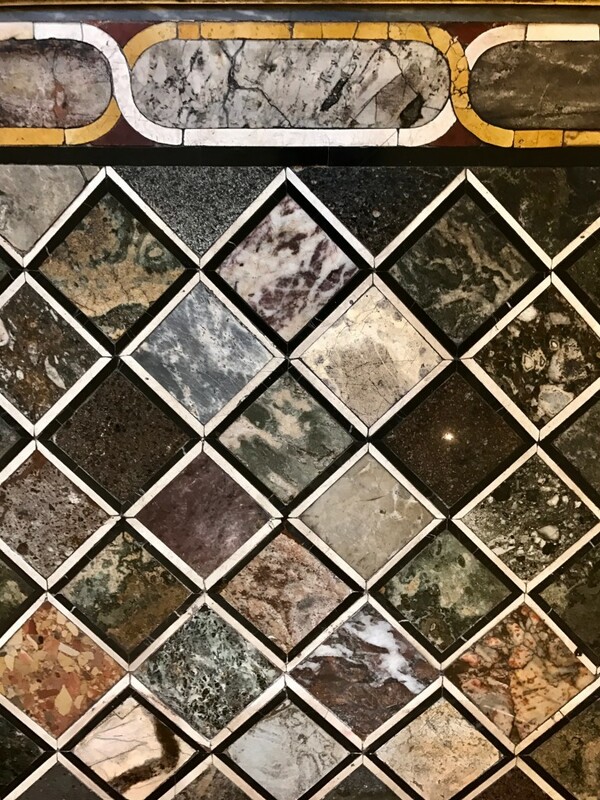 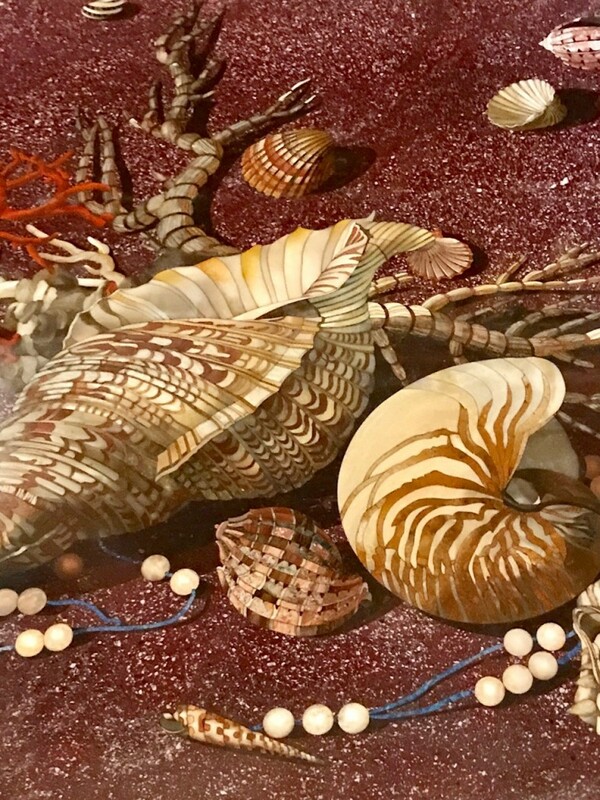 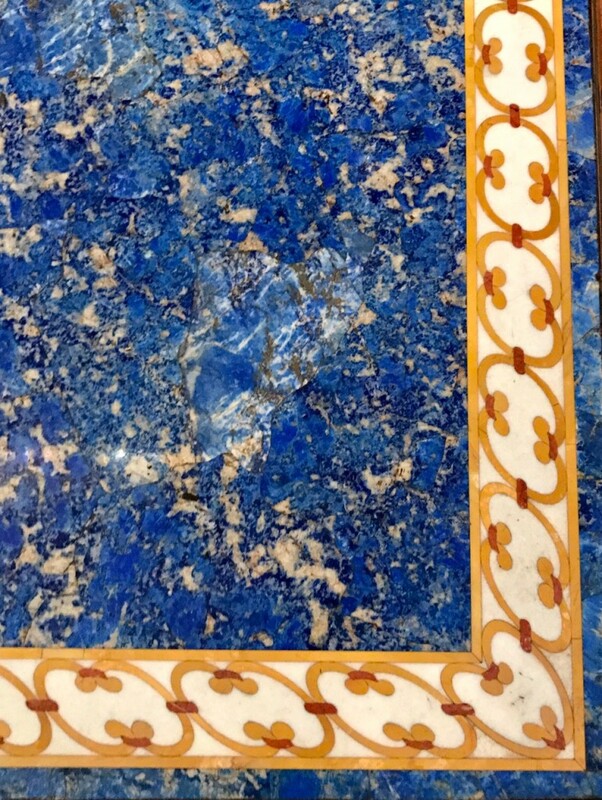 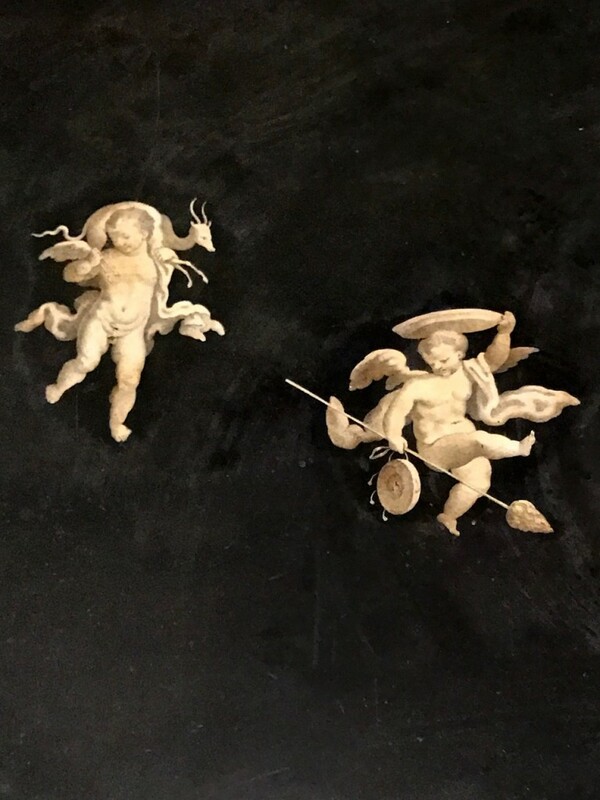 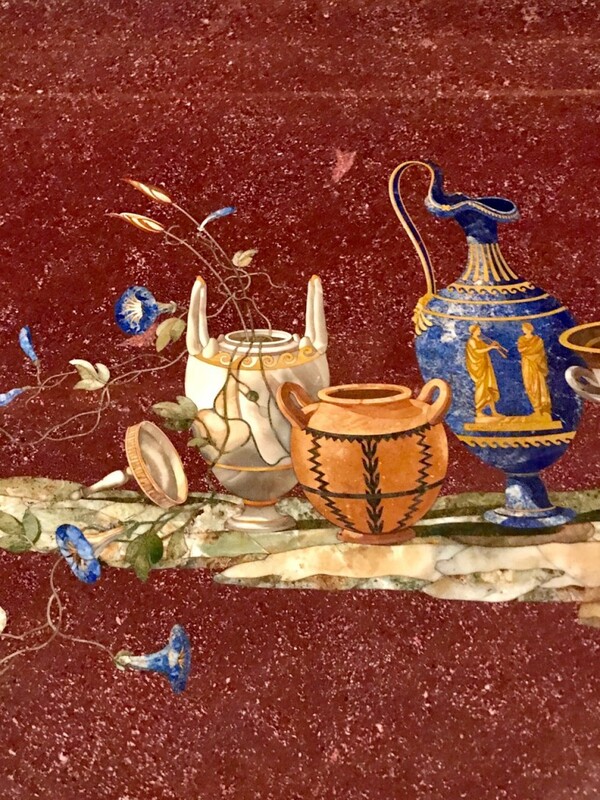 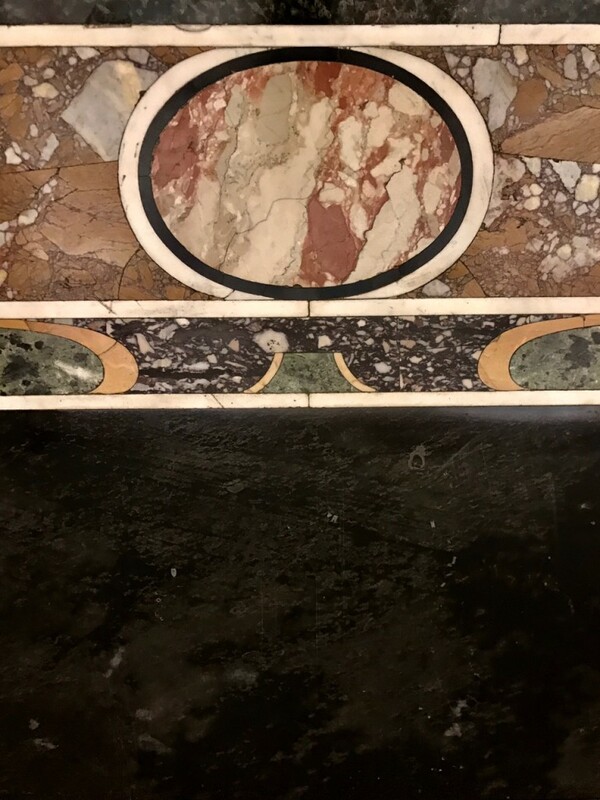 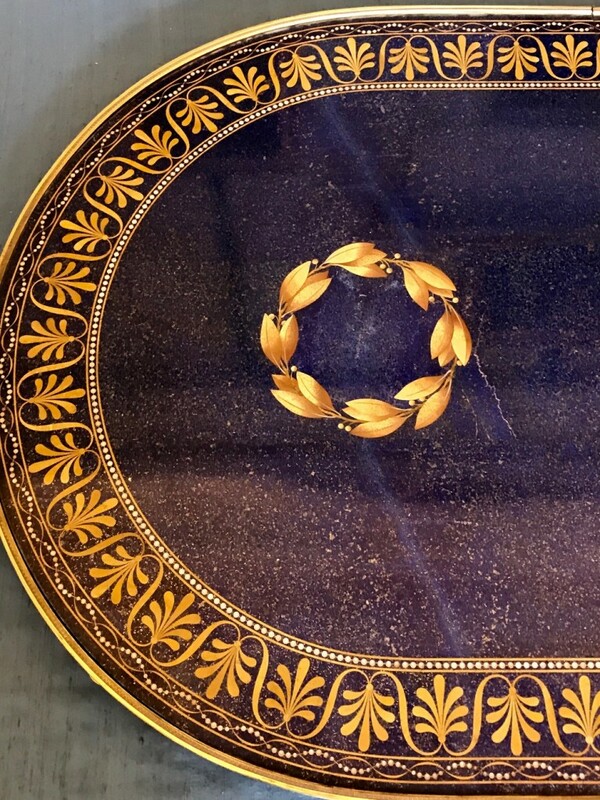 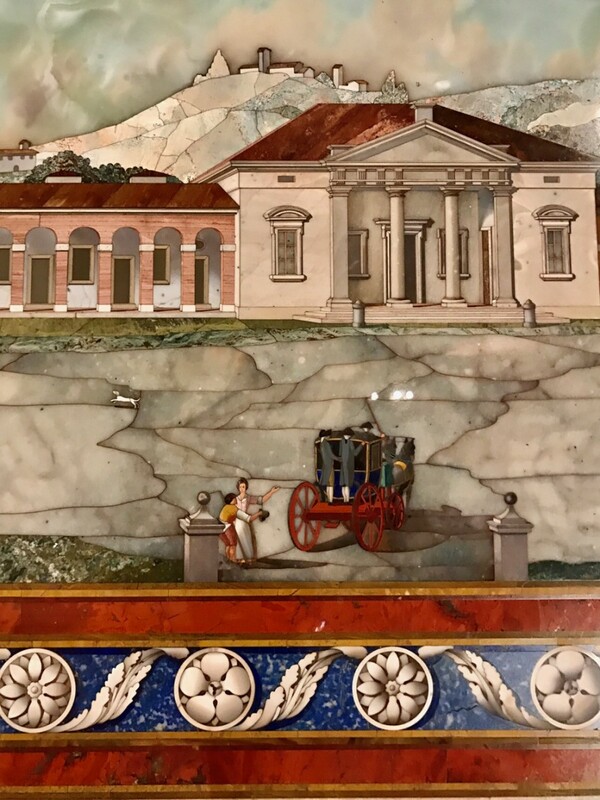 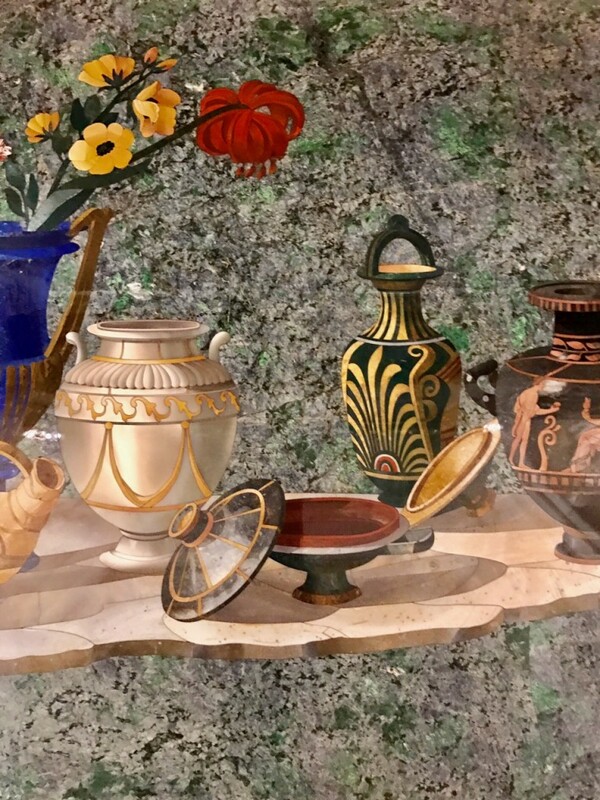 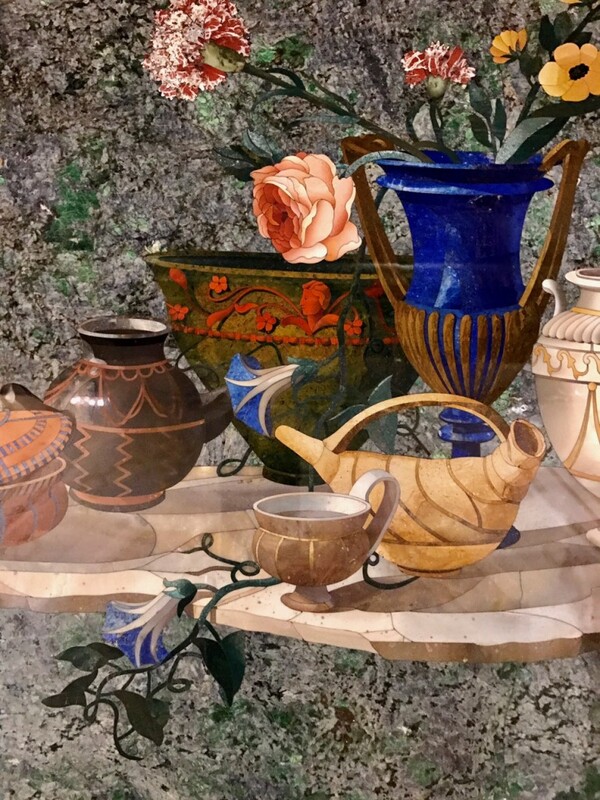 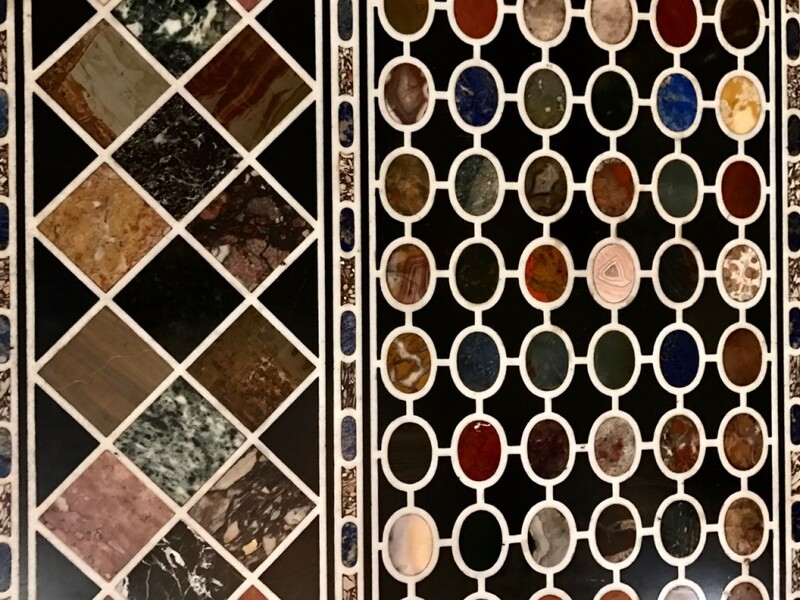 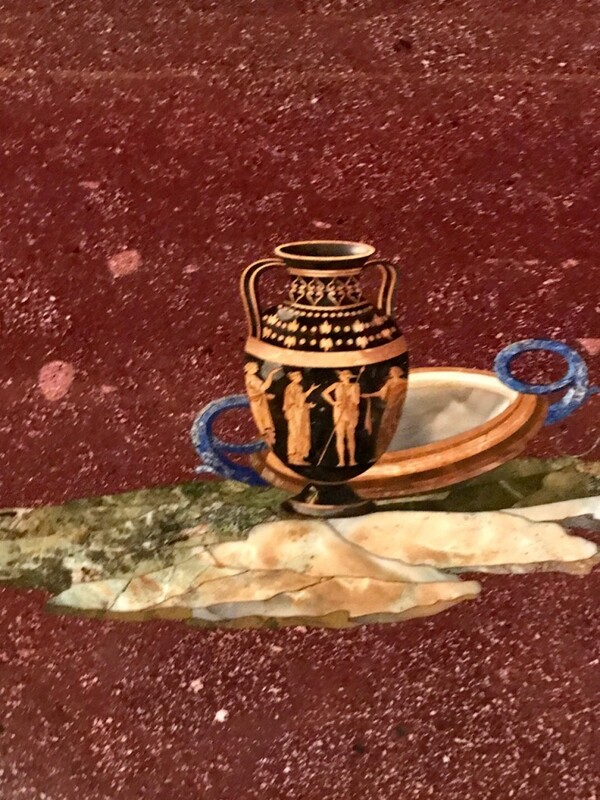 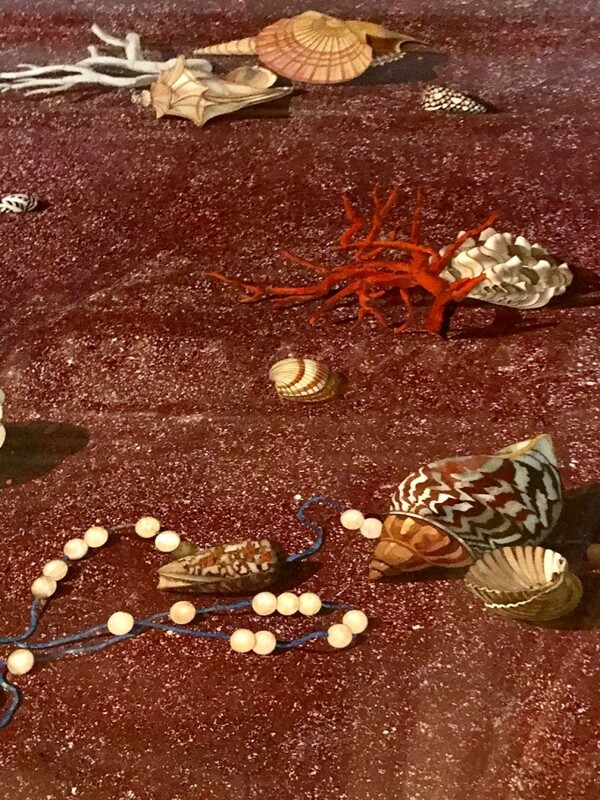 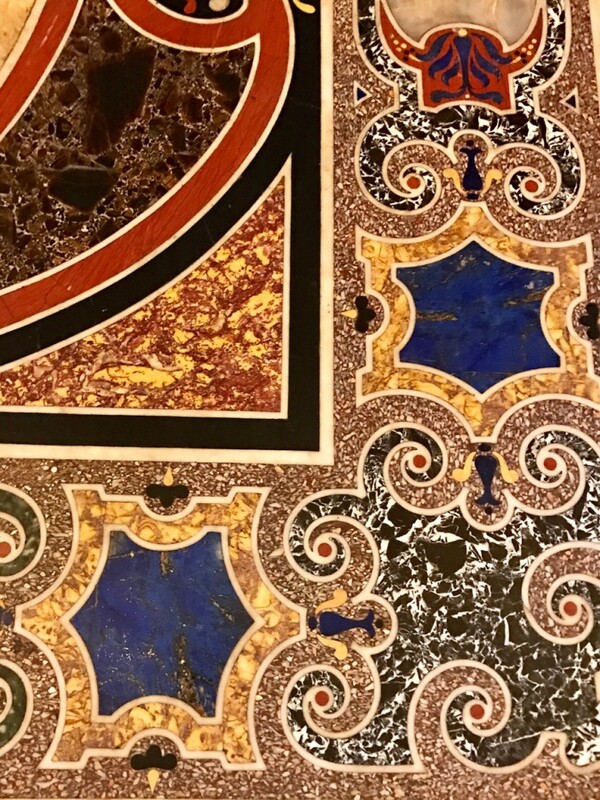 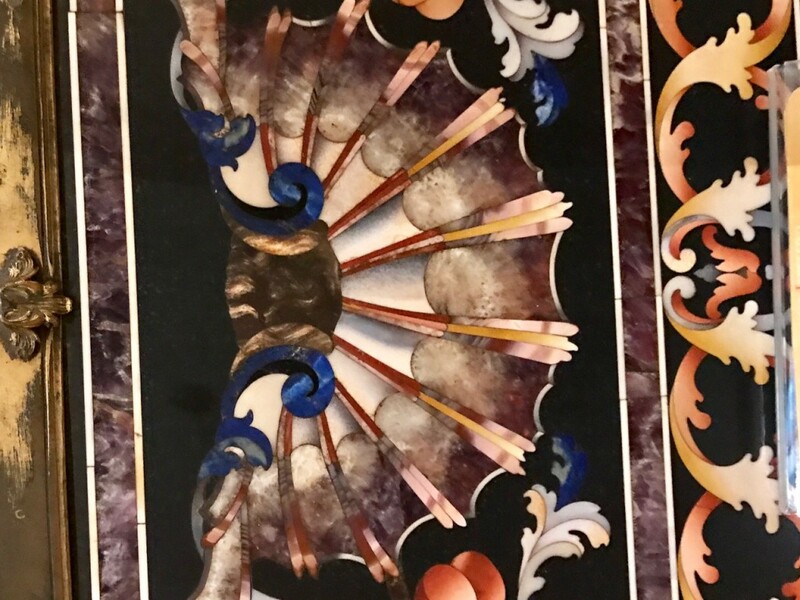 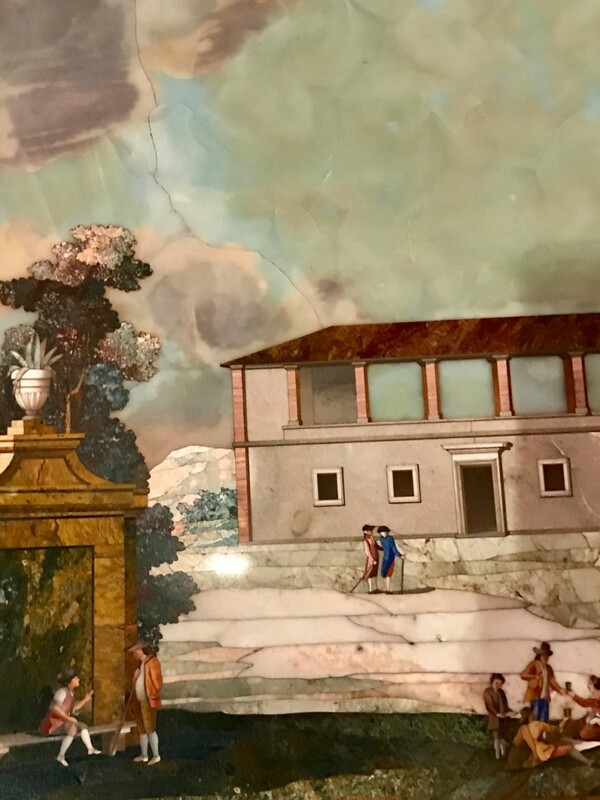 The Medici established a Ducal workshop in Florence for Pietra Dura, literally Hard Stone, which created the most exquisite and intricate examples in the world of this phenomenal art form. 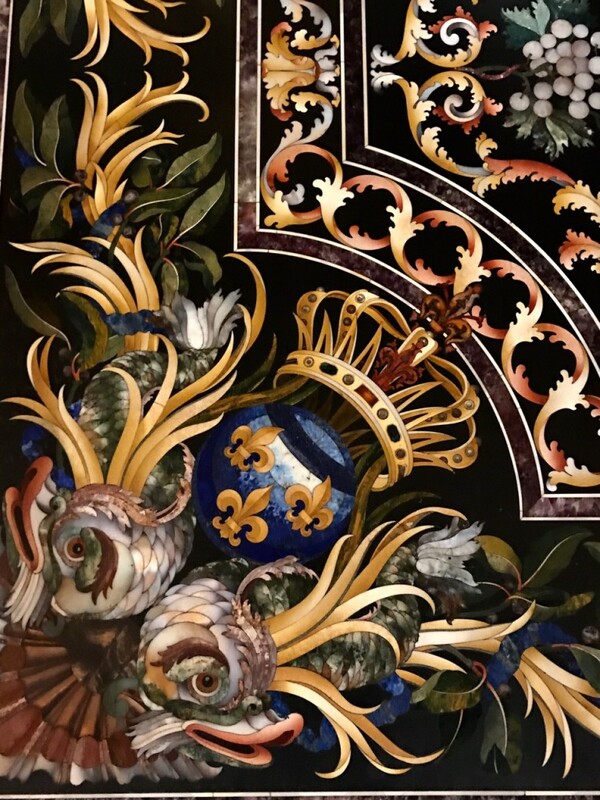 Prized by kings and princes, examples are to be found in every royal house in Europe but none more exceptional or extravagant than those in this extraordinary palace. 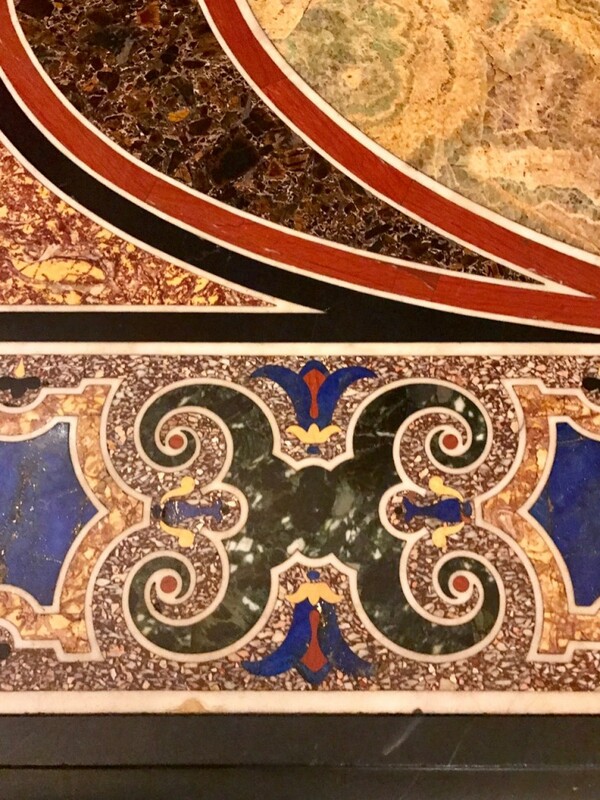 After all, the Medici got the first choice.